Memorial Day was first enacted to honor soldiers following the American Civil War and after World War I it was expanded to honor Americans who have died in all wars. 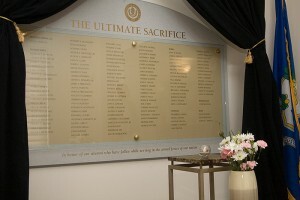 UConn established its own permanent memorial in November 2009 with a monument erected west of the flagpoles, between Beach Hall and the CLAS Building. and online at http://www.uconnalumni.com/roll-of-honor/the-roll.html. If you have the opportunity, I would encourage all who are on campus over the Memorial Day weekend to include a visit to these memorials to honor the UConn alums who have made the ultimate sacrifice. Connecticut Book Festival this weekend! The countdown is on for the CT Book Festival this weekend! The weather will be great, there are lots of wonderful authors and panels to hear, there will be tons of books for sale and all sorts of stuff for kids to do, too. See you at Book Fest! 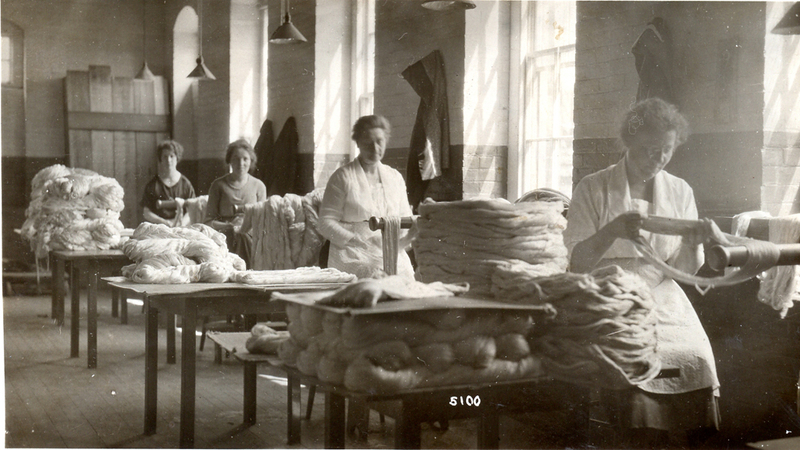 Women employees at the Cheney Brothers Silk Manufacturing Company mill in Manchester, Connecticut, ca. 1925. You are cordially invited to the Dodd Research Center to view the exhibit “All in a Day’s Work: Photographs of Women in Connecticut Industry from the Collections of the Thomas J. Dodd Research Center,” now available in the West Corridor until the end of June. The exhibit, which shows photographs from the Business Collections, was the brainchild of UConn Waterbury campus librarian Shelley Goldstein, who developed the exhibit to travel around the regional campuses (and hopefully to other venues) and to promote library outreach. The exhibit opened in Waterbury in March and then it spent the month of April at the Avery Point campus. 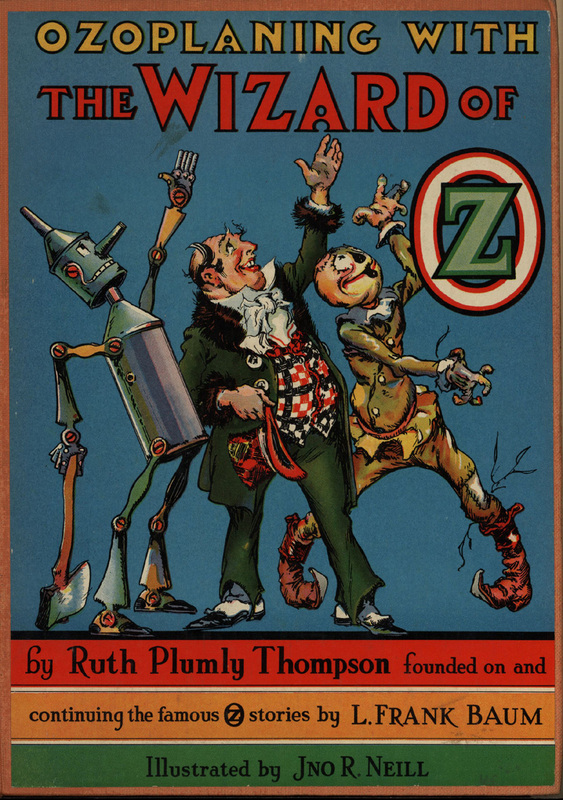 It is now in Storrs for the summer (at the DRC first and then in the Homer Babbidge Library in July and August) before completing the rounds at the regional libraries through the fall. You can find all of the photographs in the exhibit, plus the travel schedule, at http://doddcenter.uconn.edu/exhibits/days_work/index.htm. 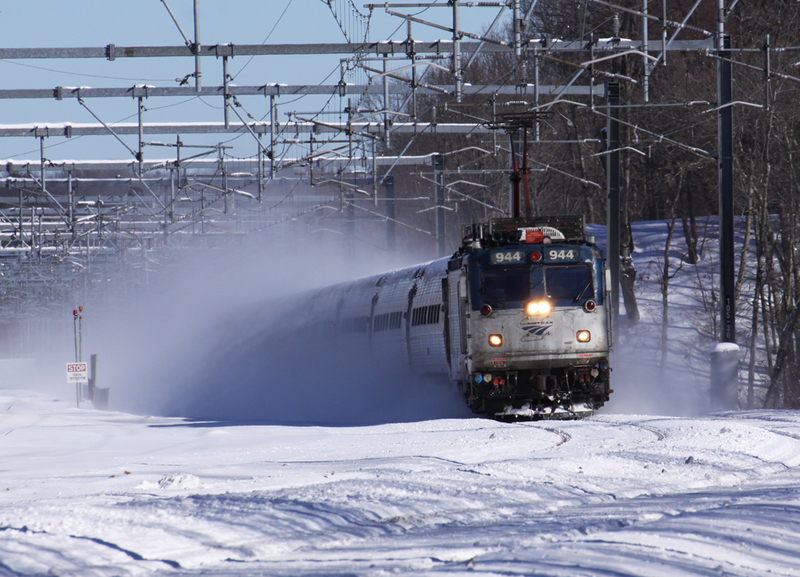 Amtrak's train 83 rounds curve as it kicks up the fresh snow at Old Saybrook, Connecticut. Photograph by Robert LaMay, January 2011. May 1 was Amtrak’s 40th Birthday! In celebration of this event we’ve put up an exhibit in the McDonald Reading Room of photographs and timetables showing the trains of Amtrak. All of the photographs were taken by Robert LaMay, whose collection we have in the Railroad History Archive.